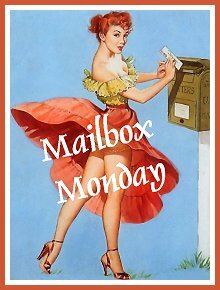 Mailbox Monday is a bit late again this week. I blame it on last week’s California business trip/vacation and the mad rush of preparing to close on the sale of our house (whoopee!). We’re also trying a different format for book listings this week. You can reach the Amazon listing just by clicking on the book covers. The rest of it streamlines the info a bit better, I think. Papa like. If you get a minute, let us know what you think, too. About the Book: After her first marriage fails, Jenny wants to concentrate on her education and career, but “that guy” walks into her life when she least expects it, and this guy means business. Will her new relationship survive when Jenny proves unable or unwilling to give up a life long relationship that is more than friendly? About the Book: An exploration of common ways of thinking about God and the fundamental dualities such as masculine/feminine, good/evil, relationship/individuality, heart/head, subjectivity/objectivity, experience/belief, mystery/clarity, etc. and how humanity’s noblest dreams can be made reality by honoring both sides of the masculine/feminine dichotomy equally. About the Book: Only men are allowed into the wells of vision, but Cara’s mother defies this edict and is killed—but not without returning with a vision of terrible and wonderful things to come. Years later, evil destroys the rest of Cara’s family. Using magic, Cara transforms herself into a male warrior, but finds that, to break the cycle of violence, she must break it, not continue it. As Cara’s mother’s vision is fulfilled, a quest for revenge becomes a quest for eternal life. About the Book: Dave Shackleford, security consultant and instructor at the IT security training organization SANS, lays out the ins and outs of security for the virtualization technology that makes private and public “clouds” possible. Yes, I actually want to read this, and yes, I (Jonathan) am a huge freaking geek on multiple levels. Oh well. Whoa!! Nice!! Thanks!! On Amazon for Kindle also. Great variety this week. I made the mistake of going to a used book store this morning. It was hard to pass up all of those deals. 50 cents for Tinker Tailor Soldier Spy was tough to ignore. Oh well, I'm sure I'll get to it eventually. Hope everything is well on your end.